Step 1. Position your elbow on the tabletop. Step 2. Place your chin in the cup of your palm, resting your fingers against left side of your face. Step 3. Tilt your head slightly and raise your eyes as if looking on the 9 of a clock. Step 4. Soften your face and allow your vision to blur. Step 5. Drift away on silver-lined clouds as you inaudibly repeat the question who's answer you desperately seek - an internal mantra set to echo until your mind takes you to that place where story secrets are stored. Step 6. Don't allow anyone to tell you that daydreaming - that thinking - is not worth your time. What do they know? You could be moments away from a Giller-Prize-worthy epiphany! In the eighth grade I lacked the skills of a visibly productive daydreamer. I clearly remember the day I sat in front of a Commodore 64 at the back of the classroom, working on a creative writing project in which I was at a loss for ideas. So I sat. Hands on my lap. Staring blankly at the dark screen as the cursor winked at me. Idle. But working incredibly hard somewhere deep inside my own head. "What are you doing?" the teacher asked. "Get to work!" he said. "I'm thinking," I repeated. And I don't believe I was being disrespectful - I only wanted him to understand that I was struggling with where my story was going and I needed a moment to find my way. "Go stand in the corner!" he said. As if I was a second-grader. As if I had no right to plumb my own mind for inspiration. I was mortified. And angry. And how dare he try to stifle my creative energies! I flipped my french braid over my shoulder and marched right out of the classroom. Because of step number six. 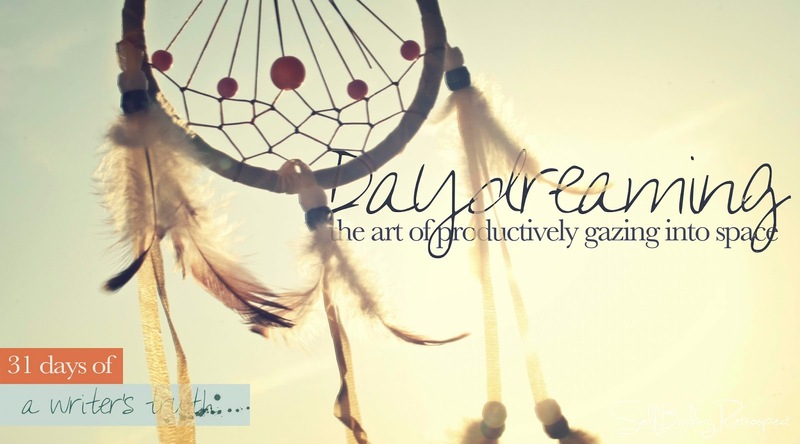 It didn't matter that I hadn't mastered the perfect daydreaming method. It mattered that I knew it was a tool - not for wasting time but for real discovery. And it mattered that he was trying to take that from me and I was not going to stand for it. I have been a rebel for my art for a very long time now. we call it ideating. not sure if that is the proper spelling of a word made up by IBM marketing for commercials, but it is pronounced eye-d-eighting...i'm sure that is even worse. I've been on this computer all day long! point is...ideating: daydreaming or napping. it is the point when you completely shut down so you can gather your thoughts for whatever may come next. Love that! And it should be accepting in all situations - including eighth grade creative writing!!! My rebel friend! The quiet ones can sometimes be the more rebellious where their passions lie because the passions are so deep. I say you should daydream all you can, I love what is brought to life. Yes...you have to watch out for those quiet ones, don't you?! ?